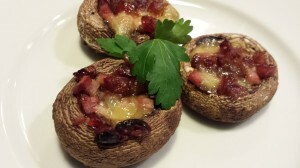 My tasty bite-sized Stuffed Mushroom Caps with Brie, Ham, and Dried Cranberries are an easy appetizer that your guests will love. Make some extras to nibble while you are cooking the rest. This appetizer goes well with some port wine to sip. Make a few batches for a party and keep them warm in a chafing dish. Start with some stuffing-sized mushrooms. 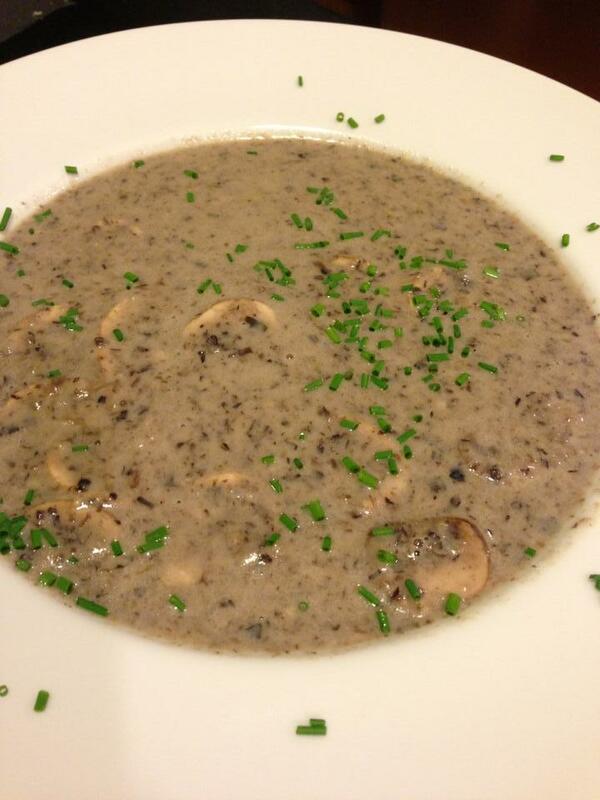 Clean the mushrooms and remove the stems. 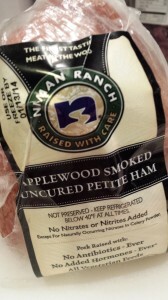 I like to use Niman Ranch ham in my recipes. Dice some ham into 1/4 inch cubes. Also, cube some brie and chop some dried cranberries. Stuff the mushroom caps with the brie, ham, and dried cranberries. 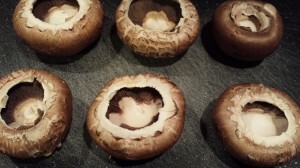 Put the stuffed mushroom caps on a foil-lined baking sheet. Enjoy these stuffed mushroom caps warm from the oven. Drizzle with some of my Balsamic Vinegar Syrup or your favorite honey. 2. Clean the mushroom caps and if not already stemmed, remove their stems. 3. 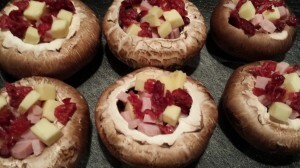 Divide the brie and ham cubes and the dried cranberries amongst the six mushroom caps. Season lightly with salt and pepper. 4. 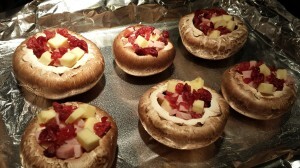 Place the stuffed mushroom caps on a foil-lined baking sheet. 5. 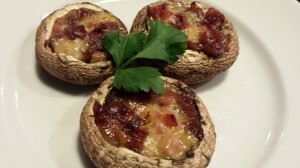 Bake the mushroom caps until the brie has melted and the mushrooms appear to be cooked through. 6. 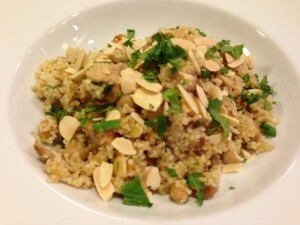 Drizzle with balsamic vinegar syrup or your favorite honey. 7. 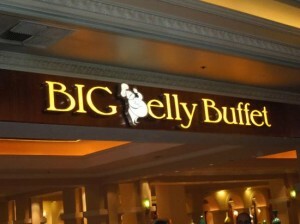 Serve immediately or keep warm in a chafing dish. Makes 6 stuffed mushroom caps. You can double, triple, and quadruple this recipe if you wish. 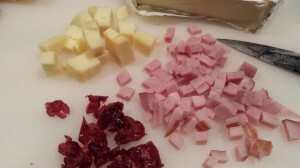 Variations: Omit the ham and just use the brie and dried cranberries. 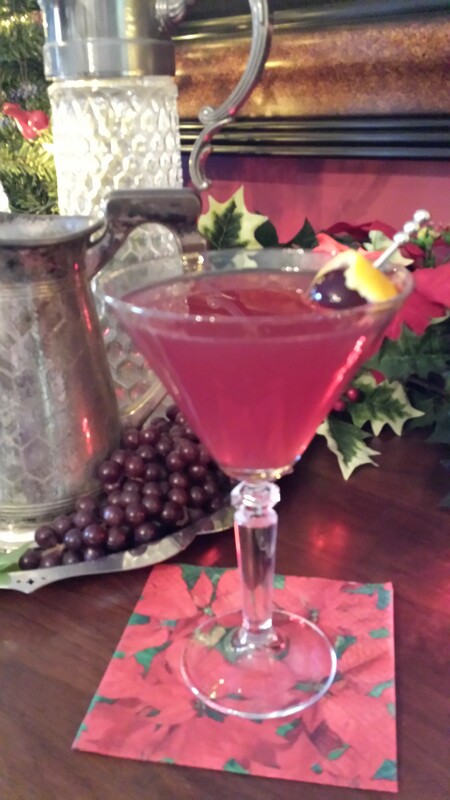 Use dried cherries instead of the dried cranberries. Substitute another melty cheese such as Monterey Jack or Gouda or goat cheese for the brie.